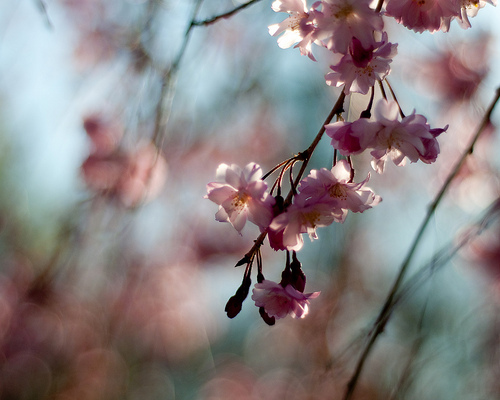 Hanami, which translates as ‘flower viewing’, is an old Japanese custom that is religiously observed every spring. 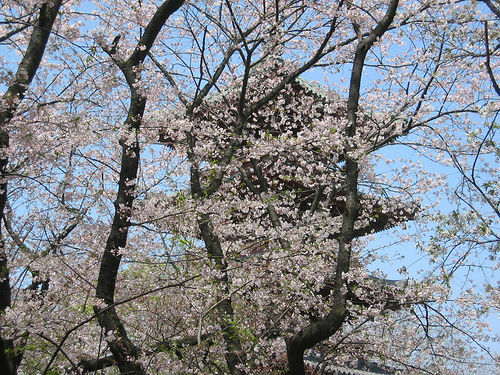 When the famous Japanese cherry trees bloom, people gather under cherry trees in parks and hold picnics and parties days and night. 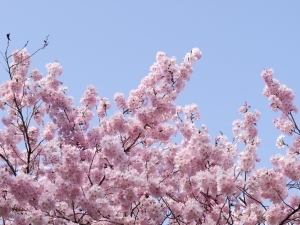 Hanami is so popular among the Japanese that companies will even organize hanami parties for their employees, and there’s even a flower viewing weather forecast so that people can plan their parties accordingly. 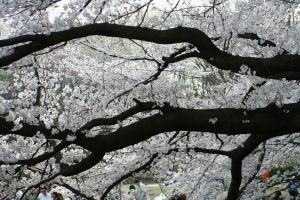 Hanami lasts for about 2 weeks only, and usually starts at the end of March, so if you want to get to Japan in time for the flower viewing, it’s time to start planning! 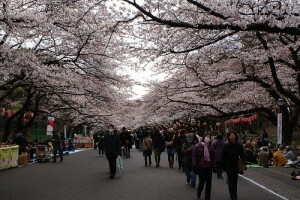 Here are some of the best places for hanami in Japan. Ueno Park is one of the largest parks in Tokyo, and it is the place to go if you want to see how the locals spend their leisure time. Festivals and events of all sorts happen at Ueno all the time, but the cherry blossom viewing is probably the most spectacular. During hanami season, the park is decorated with paper lanterns, so nighttime is the best time for a hanami party in Ueno Park. Get a picnic basket filled with sushi and mochi (traditional Japanese rice cakes), a bottle of sake and bask in the beauty of the cherry flowers. Sankeien Garden is a traditional Japanese landscape garden, perfectly manicured, and with an elegant pond in the middle of it. 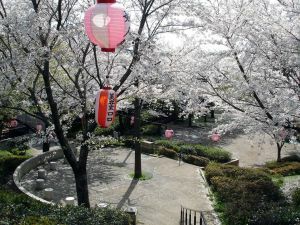 Various historic buildings have been moved from all over the country to Sankeien, and the space between them is filled with hundreds of cherry trees. The only possible drawback of this spot is the admission fee, 500 yen, but if you are planning to spend a whole afternoon of evening there, it’s really not that much. Tsurugaoka Hachimangu Shrine is pretty spectacular any time of the year, but in early April, the Dankazura alley leading up to the shrine transforms into the most spectacular cherry tree tunnel in all of Japan. The 500 meter alley is so overhung with cherry tree branches that you can barely see the sky through them when the flowers are blooming. Admission is free, but you might want to reserve a spot in advance, since it tends to be crowded. Chureito Pagoda is located right across Mount Fuji, and although it is a recent construction, it draws lots of tourists any time of the year. During hanami season, the pagoda seems is surrounded by a sea of pink blossoms. According to connoisseurs, the best time for flower viewing is in the morning, when the light conditions are the best. The banks of Yamazakigawa River in Nagoya are draped in a cloud of cherry blossoms in mid-April, and luckily for all the crowds who choose this spot for their hanami parties, the cherry trees stretch for over a kilometer, so there’s plenty of space for everybody.